For young and old, the snowman has a special place in all of our hearts. Just use a little creativity when you build a snowman, and he becomes anything you want him to be. The adventures ahead are endless, and full of winter fun. 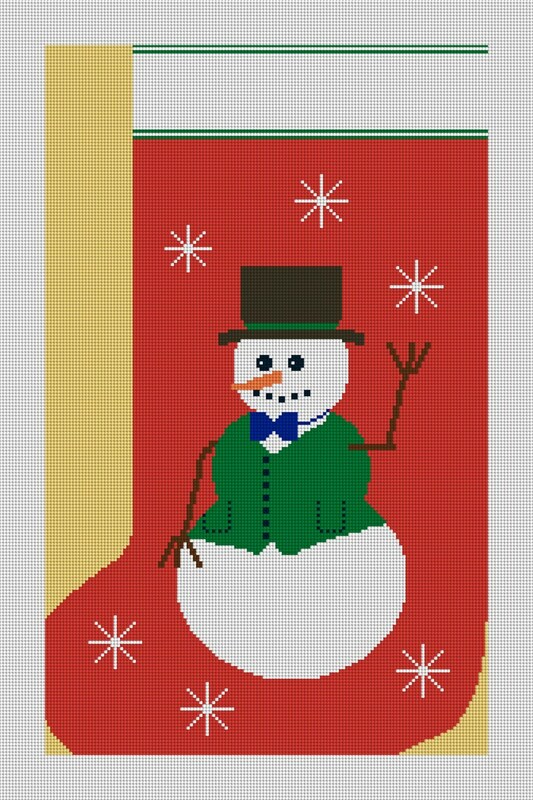 By stitching this stocking, you will create a new family heirloom that will be enjoyed for years to come. Even if the sun comes out . . . this snowman will be back every year to share in more holiday fun!